This show is absolutely pathetic. 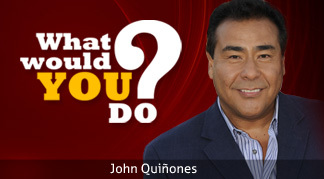 I just saw a spot for "What would you do" on GMA. Elizabeth Vargas promoted this with an "incredibly provocative" comment. Are we entirely sure that she knows what provocative means? How is setting up a blind guy with an ugly woman claiming to be a size zero model provocative? This is what happens when people outgrow Teen mom. This show artificially puts people in situations where they'd be made uncomfortable, under the what ABC is calling a "ethical dilemma". Please buy a dictionary and learn the actual definition of words before using them. This show is a result of lazy/pathetic writing, forgoing content for shock value.